Sorry for the long delay in writing. 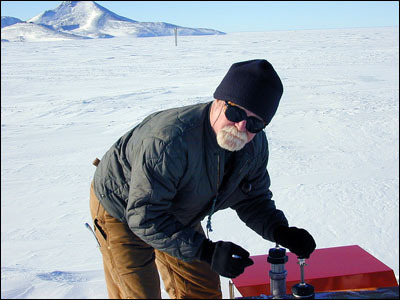 It has been a busy time in McMurdo Station. Two weeks ago I had to move from dormitory 201 to dormitory 210 to get ready for the summer season. I knew this was going to be coming up so I did not really get unpacked the whole time I have been here. Everything except the bare necessities had been in boxes. We only have Sundays off so that was moving day. 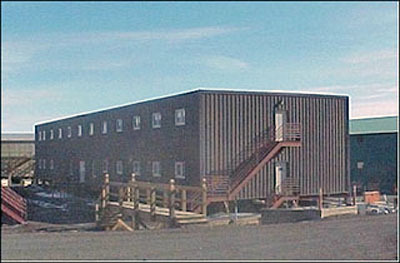 Many people had to move that day so it seemed everyone was carrying boxes and furniture to their rooms. If someone has something they don't want they put it outside their rooms and someone else will take it and use it. You have to keep making the rounds to find the things you might be looking for, but you can usually get something close. Pack rat that I am, I had quite a lot of stuff to move. I even left boxes of things down here in storage from last season. It is amazing what you can accumulate. I got everything put in on Sunday. In the few evening hours that are available, I have been unpacking and organizing. Last Sunday I got one of the carpenters to build me a loft for my bed. The dorm I am in now has rather high ceilings, so that is a good bit of wasted space. Under the loft I have an office set up. I have a desk for my computer, a table for the printer, a set of bookshelves, etc. So I feel right at home now. 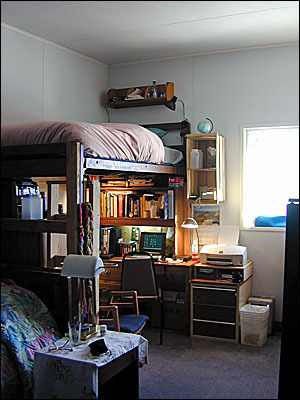 The loft is high enough that I can walk underneath it without hitting my head and there is still plenty of room in the bed for me to even sit up on my knees and not come close to hitting the ceiling. I like it a lot. I have a ladder to climb up and down with, but when I am not using it, it stores out of the way. Quite nice. I still need to spend a little time organizing things, but I think it is going to be quite comfortable. The summer season is beginning. There will suddenly be about 900 new faces around here. I have to say that I have really enjoyed the early season with only 350 people on station. Moving was only one of our preparations. 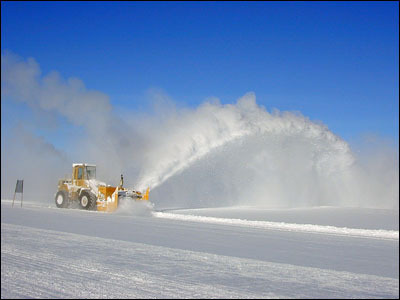 Getting the runway prepared was and continues to be a big job. 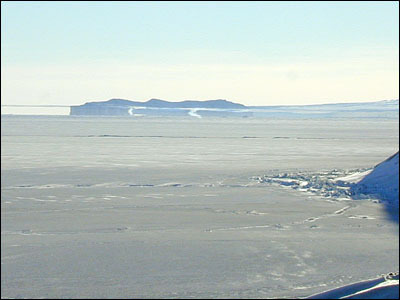 The Ice runway is only a couple of miles outside of town on the sea ice. This ice is only a few meters thick and will melt before the end of the summer. However, at the moment it is thick enough to land planes on so it makes a convenient location for an airport. Any cracks that form have to be mended. 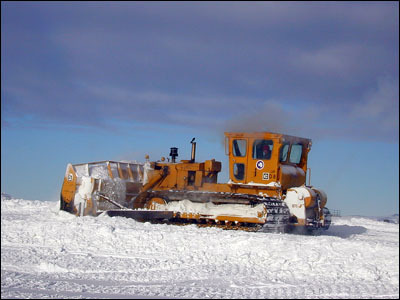 There are many heavy machines out there surfacing the ice. 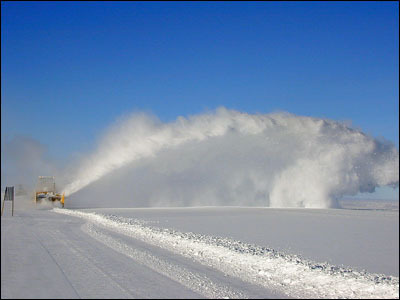 I love to watch the big snow–blowers shoot the snow way up into the air. They spent several weeks working on the runway just before the condition one storms we had a few weeks ago. After the storm the runway was covered in snow again and it was almost back to square one. 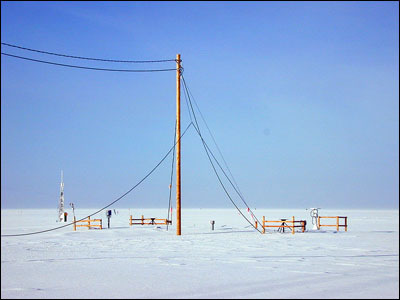 We had to go out and set out the runway lights and then run miles of cables to everything. There are also the Precision Approach Path Indicator (PAPI) lights that we have to set up. Those help guide the pilots. One set has to be at an angle of 2 degrees, 15 minutes and the other has to be at 2 degrees, 45 minutes. If they are slightly off they stop working. These help the pilots gauge their altitude over the ice. 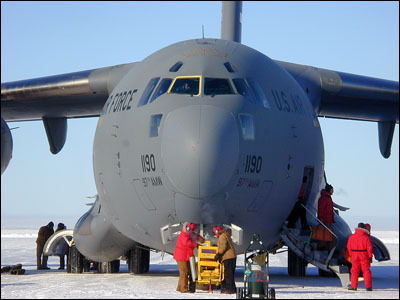 Those are powered by gas generators so we have to take fuel out to them every time we are expecting planes in. 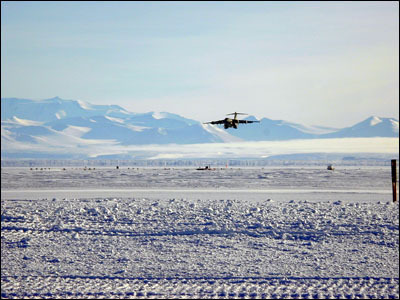 Sometimes when you are out on the ice runway there are many mirages off in the distance near the mountains. 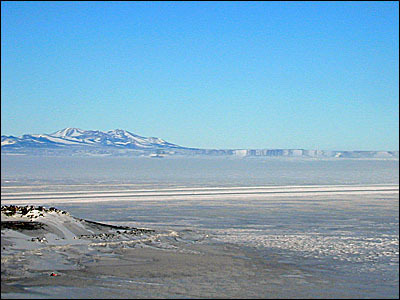 It looks as though there are mesas and glaciers that aren't really there. Around here they are called Fata Morganas. We have another airport called Williams Field, or Willy Field for short. 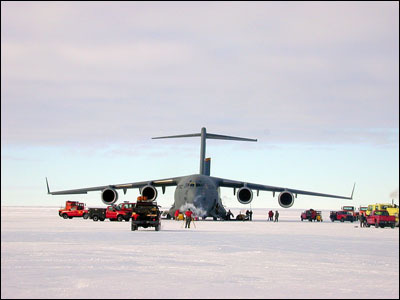 It is located on the permanent sea ice of the Ross Ice Shelf. That ice is over 300 feet thick. 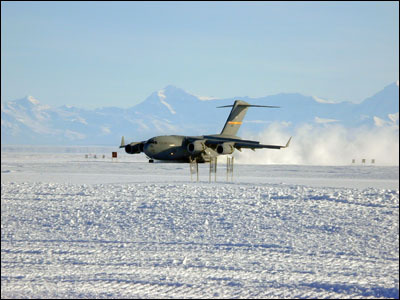 It has many layers of snow on it and only planes with skis will be able to land there. We will not officially move our airport out there until December when it is no longer safe to use the Ice Runway. 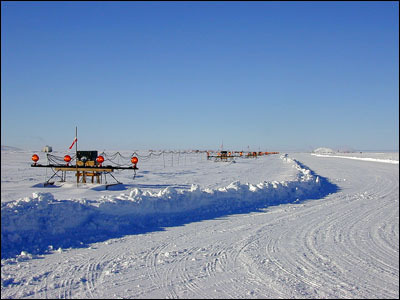 However, before that time several science groups make use of Willy Field. Consequently we are preparing that area as well. 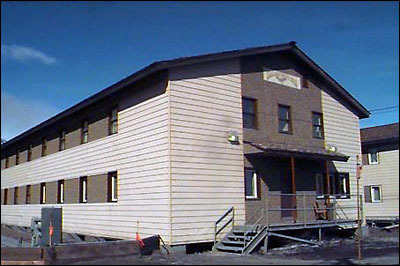 There are several permanent buildings out there. 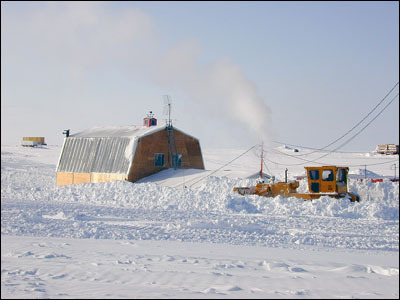 During the winter they become completely buried in the snow and have to be dug out with bulldozers. 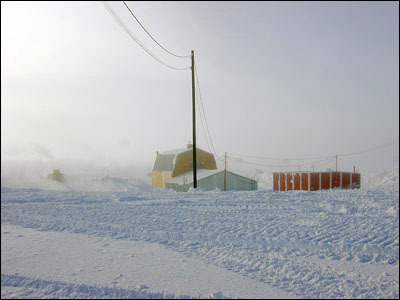 In the photo below, what you see is the roof of one of the buildings which is completely buried! They are building roads out at Willy Field as well as at the Ice Runway. On the Ice Runway the roads and the runways are directly on the ice. 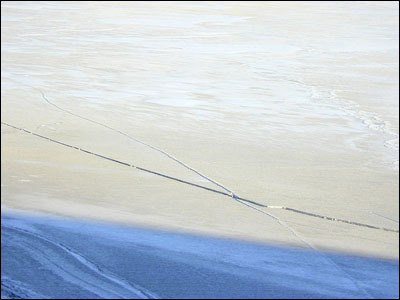 They only scrape off the snow and make sure that the ice is smooth and without cracks. At Willy Field there is a much deeper layer of snow. The roads and runways are all on the snow. 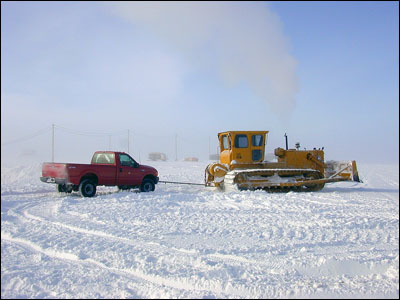 After the roads are prepped and before they are set up, it is quite easy for our trucks to get stuck in the snow. We then have to get one of the heavy equipment operators to come over and pull us out. 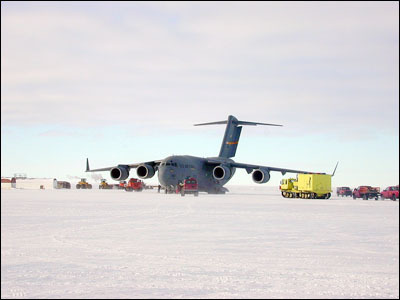 On the ice shelf things like weight in the back of your vehicle or chains on your tires actually make things worse. Most roads with this much snow have some kind of earth or pavement underneath them. The snow here is so deep that those things just drive you in further. In preparation for the science teams which will be arriving soon, we had to set up the generators out at Willy Field. 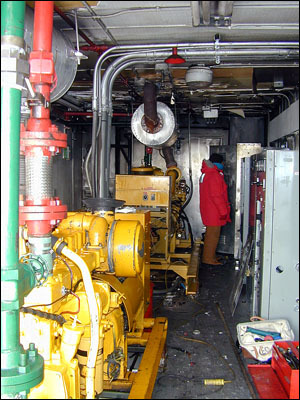 We have 2 12kw generators to run the whole area. 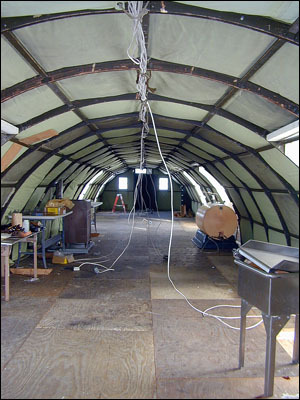 The carpenters went out and put up a couple of jamesways which will be used as research facilities for the science teams, for berthing and as a galley. Then we have to go in and run power for them. The linemen will get power to the building, but then we put in a temporary service, lights and receptacles. As I mentioned before, we have had quite a bit of ground fog. It usually clears by the afternoon, but sometimes it doesn't. 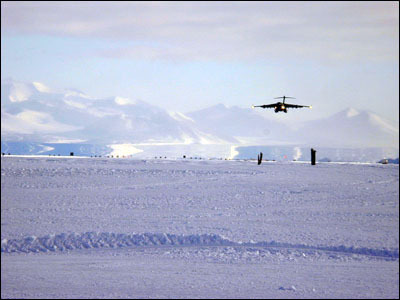 The planes cannot land here in those conditions. Several flights have taken off from Christchurch and had to turn back due to the fog. 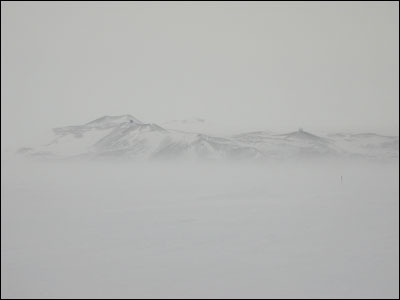 This fog we have been having is made up of thin, multi–layered clouds of ice crystals. 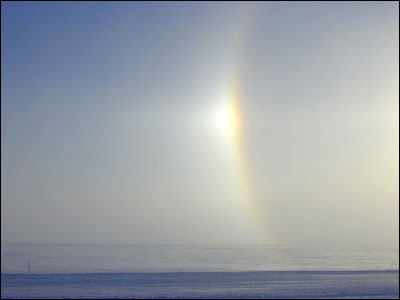 A very interesting phenomenon in this fog is Sun dogs. These are more accurately named parhelions. 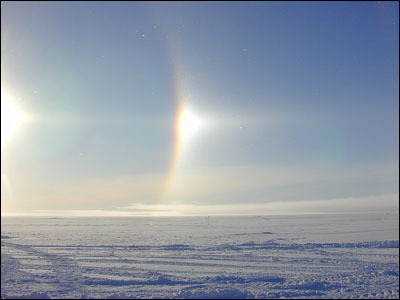 They are " mock" suns caused when the light from the sun is refracted and reflected by the ice crystals in the air. 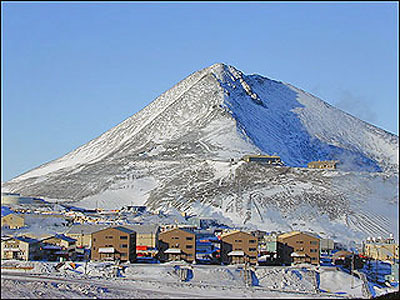 There is a hill in town named Observation Hill, or Ob Hill as everyone calls it. It isn't terribly high, just slightly over 700 feet, but it is a pretty steep walk. There is not any climbing involved, just walking. It is covered with snow and ice so it really adds to the challenge. I can manage to get up fairly well, but I usually end up sliding down. Sometimes it is fun, but on the icy bits it can get pretty scary because you can't stop until you hit a rock. Castle rock is another place we can go climbing. It is much more to my liking as there is more scrambling involved. However, Castle Rock is 2 miles away and you have to sign out at the firehouse and have a buddy with you in order to go. Ob Hill is much more accessible.